Car Photo of the Day: A green race car on the green. 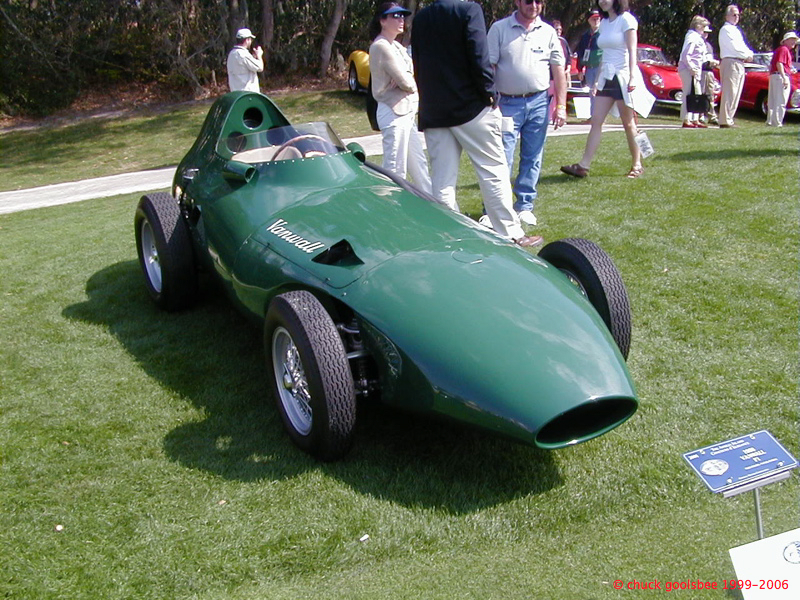 A legendary Vanwall VW5 F1 car in BRG. The real thing. The “chuck connection” here is the place this car was built: Acton. This is where I worked when in the UK in ’97/’98. Perhaps the colo(u)r should be renamed “Irish Racing Green”? My ancestors would be happy…! Wow! You got a lot of eye candy on your Blog … Bravo! Thanks Paul. Love your site… I’ve bookmarked it in my RSS feed reader. Next Next post: Car Photo of the Day: I still love this car.